Time is unstoppable. 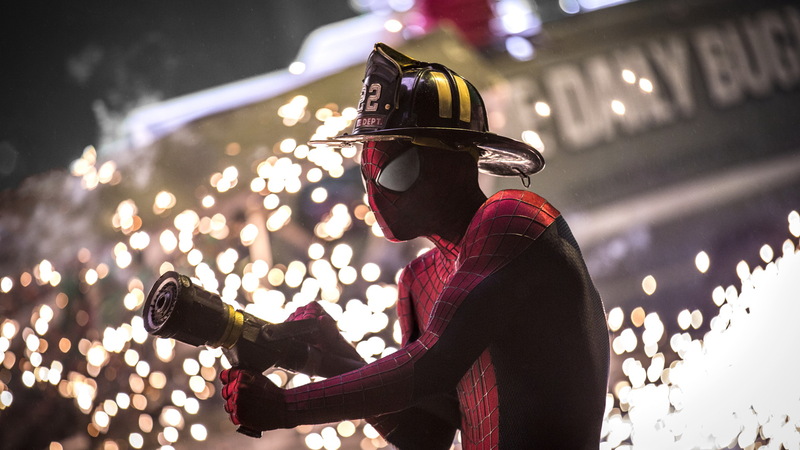 That much is clear in Marc Webb’s second outing with everyone’s favorite wall-crawler. The director opens this film with a close up on the gears of a watch, focusing on time slipping second by second. His use of foreshadowing is blatant, especially if you know a thing or two about a certain famous comic series in the Spider-Man canon. This is not to the film’s detriment, however. Rather it adds a despairing, aching emotional heft to the film which is almost perfectly maintained throughout. I say almost because for all of its strengths, the film squanders that depth in its final minutes. It stumbles to a close as it submits to a lamentable trend currently pervading blockbuster cinema. A comic book film too often serves as the first multimillion-dollar investment in a sequel’s advertising campaign. This is not necessarily a rule – Christopher Nolan’s The Dark Knight and last month’s Captain America: The Winter Soldier are both bombastic and compelling – but The Amazing Spider-Man 2 ultimately trades a harrowing emotional payoff for a hopeful one. Somewhere, in a more perfect cinematic universe, there exists a version of this film that has been stripped of its sequel-hooking coda. That coda detracts severely from the overall believability of the story, but this sequel does feature the best wisecracking and webslinging Spidey scenes set to celluloid. Andrew Garfield turns in another committed performance as Peter Parker, and the film is on the whole well acted. But it’s Emma Stone, both in her effervescent chemistry with Garfield and in her own right, who delivers the strongest performance in the film. She brings life to Alex Kurtzman and Roberto Orci’s script, and injects serious pathos into Gwen Stacy’s character arc. The best thing about Gwen, and Stone’s portrayal, is that she is an entirely independent character. All of her actions, and the range of consequences they beget, are a result of her own choices. That’s commendable writing, and through Stone the character impacts the audience deeply. Amid the comic book sound and fury, Emma Stone makes Gwen Stacy ring true on a grounded, human level. But what about that sound and fury? Hans Zimmer teamed up with the aptly named Magnificent Six (a musical supergroup featuring Pharrell Williams and Johnny Marr) to compose the score, which serves the film pretty well. 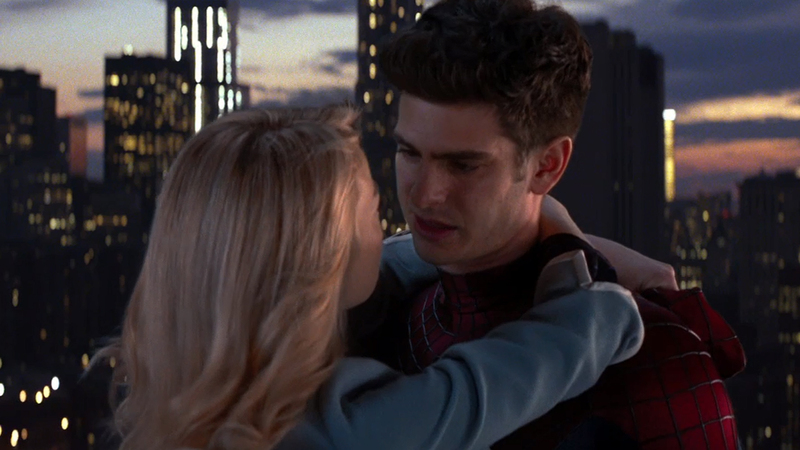 The motifs made around Peter and Gwen further the best aspect of the film, augmenting an affecting emotional experience with an appropriate sonic touch. These quieter moments are the best onscreen and through the speakers. The intimate moments are flawlessly executed, especially when the tone shifts from thrillingly bright to heartbreakingly bleak. Louder aspects of the film do trend a bit cartoonish. This is especially true for the handling of Electro’s arc. 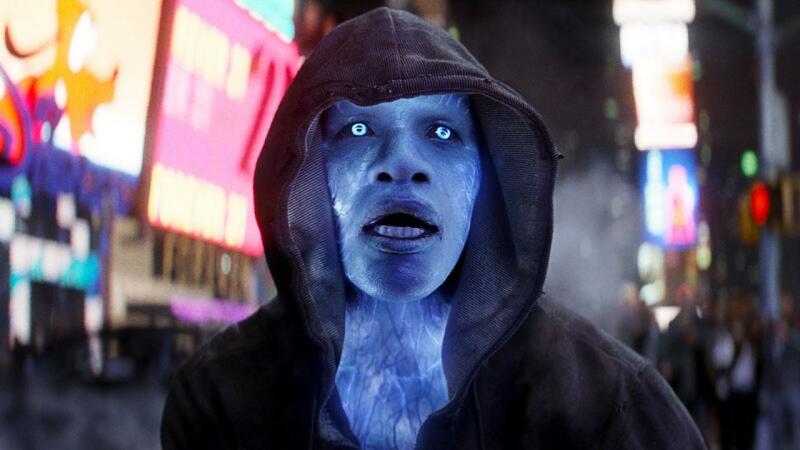 Jamie Foxx is a good actor, and is convincing as both the meek Max Dillon and the monstrous crackling villain he becomes, but the character itself is overly simple and simply ridiculous. It doesn’t help that Electro’s suite is dubstep-infused, and a more distinct departure from a glossy but otherwise fitting soundtrack. Dane DeHaan’s Harry Osborn is a more realistic character, and, again, well acted, but his rushed transition is just one of many in an overstuffed third act. Webb bites off too much in his storytelling scope, but the film succeeds with its hopeful spirit and emotional anchors. Never before has Spider-Man been this clearly translated from comic book page to screen, and that accomplishment, combined with the narrative’s human element, saves the film. It is a bit messy, and too sprawling for its own good, but The Amazing Spider-Man 2 is both an escape and an effective reminder that the only thing truly immortal in our world is time itself. Here’s looking forward to a sequel that builds on the successful aspects of this film’s flawed but admirable ambition. Nathan is a contributing editor at Movie Fail. He graduated from the University of Massachusetts, and served as the Arts & Living Editor and Assistant Arts Editor for Film and Television at The Massachusetts Daily Collegian. His work has appeared in Take, Slant, and other places. Enter your email to stay up to date on all of the best articles from Movie Fail! Movie Fail is licensed under Creative Commons. Permissions beyond the scope of this license are available at http://moviefail.com/faqs/.